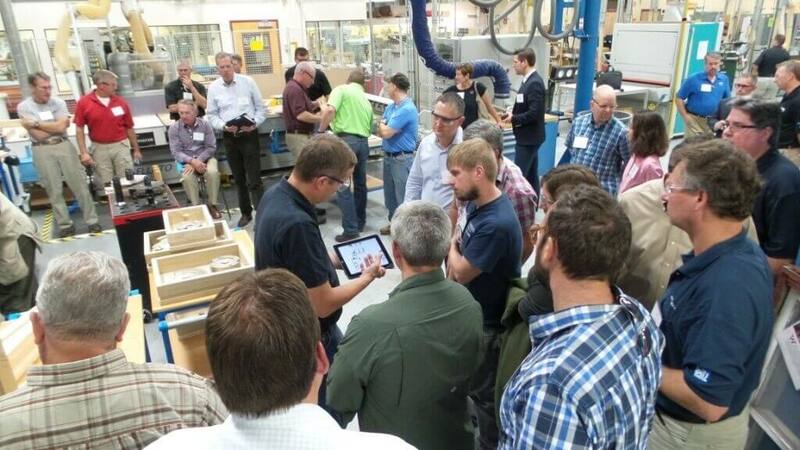 Over 50 industry professionals gathered recently to attend an open house for the Cabinetmaking & Millwork program at Madison College. The event was sponsored by Rangate, a supplier of quality woodworking tooling and equipment for the window, door, and millwork industry. 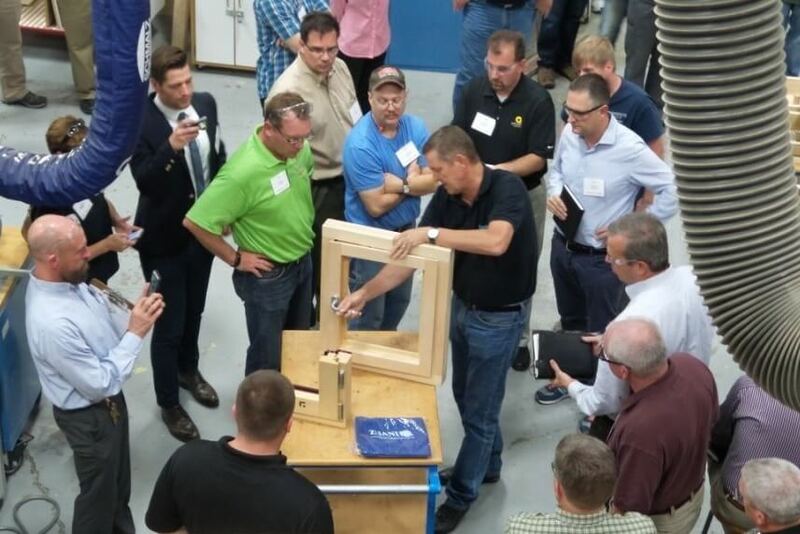 The event featured a live machining demonstration of a European Tilt & Turn window. Rangate recently provided over $12,000 in tooling on loan to the college so that students can learn the process of manufacturing this type of window. In addition to manufacturing the window unit, attendees had the opportunity to experience a number of presentations on topics related to window manufacturing, including tooling, hardware, and finishing. Representatives from Gemini Coatings, Soukup America, and Zuani Tooling were on hand for the event. Following the three hour event, Rangate provided dinner and a social hour for all participants. The open house coincided with a Passive Window certification workshop, also sponsored by Rangate and taught by Adrian Muskatewitz, a building scientist and licensed civil engineer from the Passive House Institute in Darmstadt, Germany. Both events preceded the North American Wood Window and Door Symposium, which was held in Madison, and which brought attendees from all across North American and several countries.